Create a Tablet Ready Electronic Invoice in Minutes! 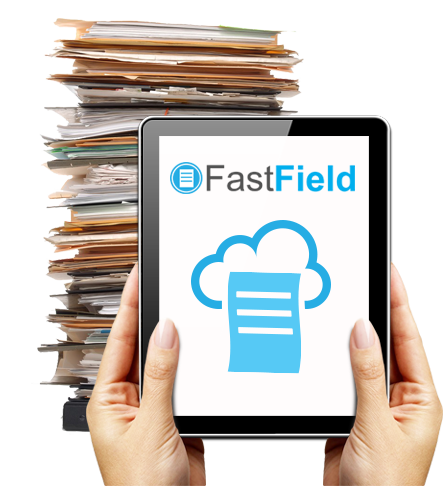 FastField is an electronic invoice app and database software that allows you to create invoice forms with rules, validation and your formatted report. Than use them as an App within minutes! Many fortune 100 companies and small businesses alike use FastField's invoice App technology for data collection, electronic invoices, field service forms. Create an Invoice App in Minutes! Take a video tour of how to leverage the latest in mobile data collection software. Create your own invoice forms online or send us your form and we will help get you started. Each electronic invoice works on iOS, Android, and the web. Use rules, drop lists and lookup tables to make invoices easy to complete. Hundreds of report types and App examples. Each invoice form automatically generates a cloud database of all form submissions. That database is available for dashboard view, report generation, exporting, integration, and is hosted in secure cloud database on either Azure or Amazon S3. Delivering professional electronic invoices is key for many businesses. Each invoice form can be mapped to your businesses own forms. Collect data using our mobile invoice system and present the invoice using your electronic invoice template. Modern business is dependent on systems, CRM, ERP, Tracking, Accounting, home grown, and SaaS services. Zapier integration and our API's make it possible to get system data integrated into your invoices and for collected data to get back to your systems with easy setup. Dispatch invoice forms out, track activity, due dates, and outstanding jobs and forms. In addition to dispatch, each form can have multi-step workflow and form actions for; signatures, supervisor sign off, elevated clearance, and multi-day activity. Reduce confusion and make it easy for employees and clients alike to know it is your system. White label the Apps and even the builder. Do you have clients that need mobile invoice forms? Become a reseller under your branding.